With Microsoft Outlook running on a windows operating system you can open and use more than one hosted exchange email account at the same time using the same outlook mail profile. The following prerequisites are required for running multiple mailboxes. The mailboxes must belong to the same organisation or group of organisations (know as an Organizational Unit). Your first mailbox username must have permissions to access the secondary mailboxes. Whilst Outlook 2003/2007 can open secondary mailboxes, for complete autonomous exchange account compatibility you will require Microsoft Office Outlook 2010 and above. NOTE: If you wish to operate multiple mailboxes under the same Outlook profile, you must first contact Webvault Customer Support so that we can assign cross permissions to your relevant exchange accounts. 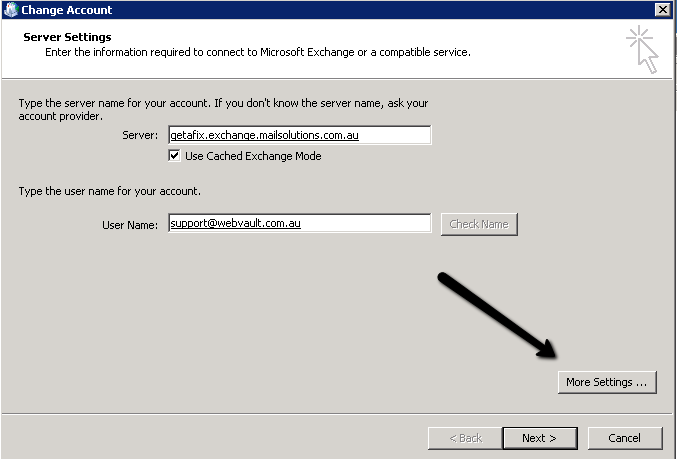 These instructions assume you have already setup your primary exchange mailbox account in an EXISTING Microsoft Outlook Profile using the instructions found at the link below. To add an additional exchange email account to your Microsoft Outlook 2010 profile, FIRST close Microsoft Outlook. 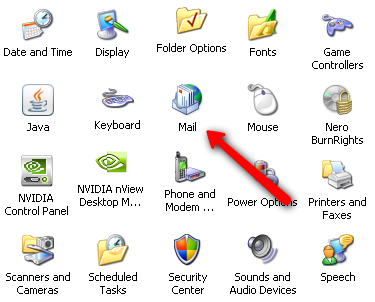 Click on the Windows Start Menu and go to the Windows Control Panel, choose the Mail option. Depending on your version of Windows, the control panel options may look slightly different, or you may need to change the View Options to access the control panel Icons. Click on Show Profiles, then select your primary exchange mailbox profile and choose the Properties option. 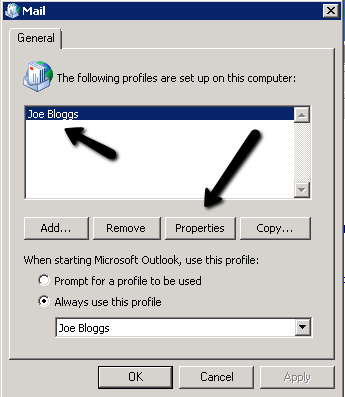 Click on Email Accounts to view the list of email accounts belonging to the selected Outlook profile. 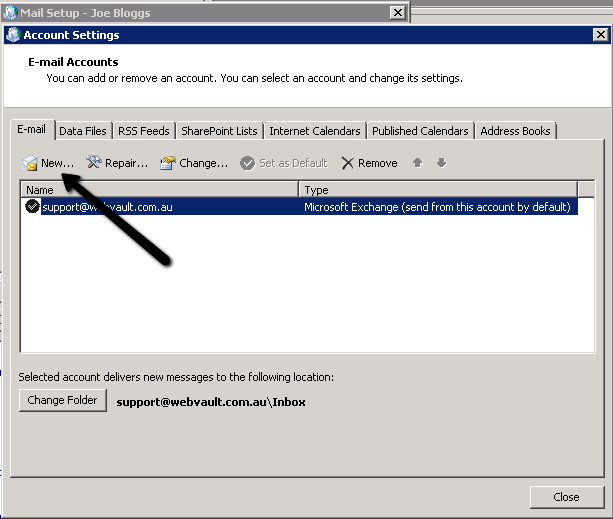 To add a secondary exchange email account to the existing Outlook profile, click the New button. 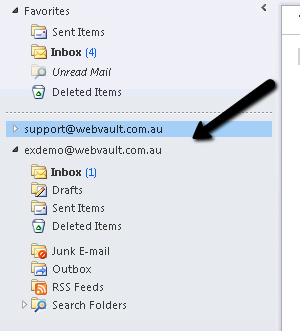 You should now see the Add New Email Account setup wizard. Follow the regular setup instructions you used previously to setup your primary account using the link below. Add New Exchange Email Account. Once you have successfully configured the settings for your secondary exchange email account, you will see multiple accounts listed in the email account properties dialog. 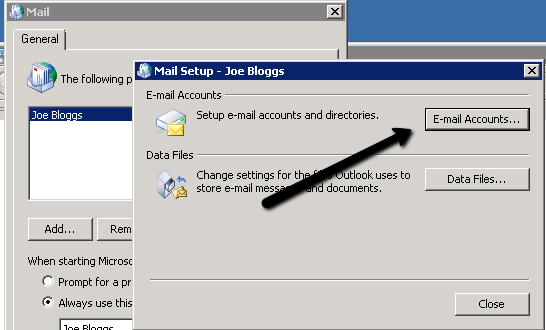 To add an alternative users exchange mailbox in your Microsoft Outlook 2007 profile, FIRST close Microsoft Outlook. Double-Click on your primary Exchange email account in the list of accounts, or select the account and choose the Change button. On the Change Account window, select the More Settings button. On the Microsoft Exchange dialog box, choose the Advanced Tab. Click the Add button next to the section titled Open these additional mailboxes. Enter the username of the alternative exchange mailbox that you wish to open. Note that you do NOT have to prefix the username with the 'EXCHANGE\' domain prefix. Click OK, then OK again to close the Windows, Click Next and Finish to complete the Change Email Account wizard. 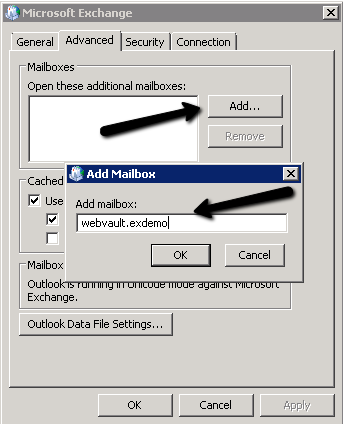 Note: Microsoft Outlook 2007 does not support Cached Exchange Mode for additional mailbox data and so will operate slowly when accessing folders in the an alternative users mailbox. To improve the performance and enable search indexing features for secondary mailboxes, you should upgrade to Microsoft Office Outlook 2010 or above. 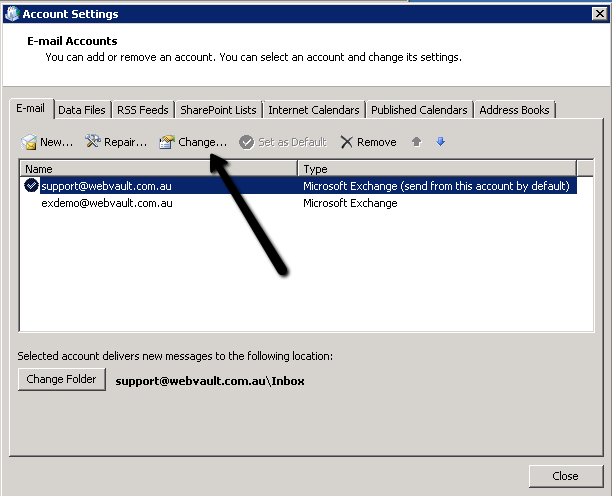 Once you have successfully added a secondary exchange mailbox, the different accounts will be displayed in Outlook with their own respective folder set as illustrated below.